I am looking forward to talking about the Cattell-Horn-Carroll (CHC) model of intelligence on the #psychedpodcast this sunday evening. This was a pleasant surprise. 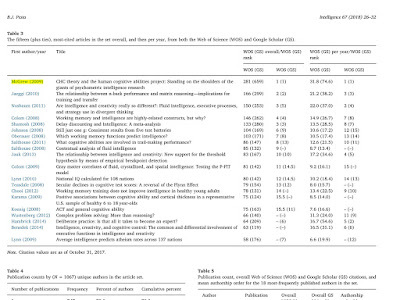 I knew my 2009 Intelligence article was cited frequently but I never knew it was number one from 2008-2015 and it made the top 10 all time list for the journal Intelligence. I believe this is a reflection of the impact the CHC taxonomy has had. This should make my mom proud. Here is a link to the original article. 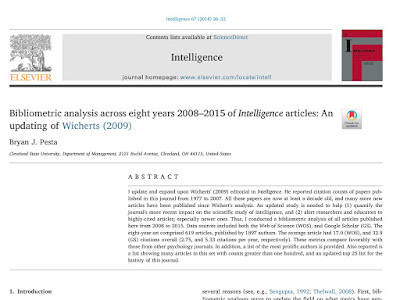 Bibliometric analysis across eight years 2008–2015 of Intelligence articles: An updating of Wicherts (2009). Article link. 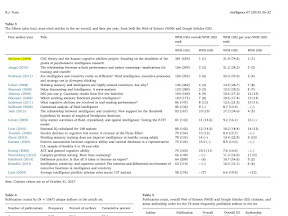 I update and expand upon Wicherts' (2009) editorial in Intelligence. He reported citation counts of papers pub-lished in this journal from 1977 to 2007. All these papers are now at least a decade old, and many more new articles have been published since Wichert's analysis. 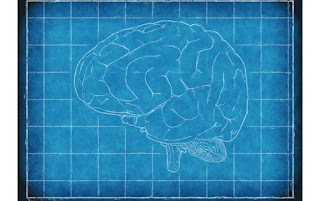 An updated study is needed to help (1) quantify the journal's more recent impact on the scientific study of intelligence, and (2) alert researchers and educators to highly-cited articles; especially newer ones. Thus, I conducted a bibliometric analysis of all articles published here from 2008 to 2015. Data sources included both the Web of Science (WOS), and Google Scholar (GS). The eight-year set comprised 619 articles, published by 1897 authors. The average article had 17.0 (WOS), and 32.9 (GS) citations overall (2.75, and 5.33 citations per year, respectively). These metrics compare favorably with those from other psychology journals. 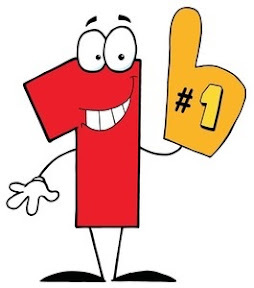 In addition, a list of the most prolific authors is provided. Also reported is a list showing many articles in this set with counts greater than one hundred, and an updated top 25 list for the history of this journal. More recent Google Scholar citation info indicates that the article is still going strong from 2016-2017.